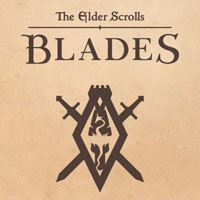 The Elder Scrolls: Blades is another installment in the legendary The Elder Scrolls series, this time developed for mobile devices. The developers wanted to recreate the experiences of such games as The Elder Scrolls V: Skyrim on a small smartphone or tablet screen. The game utilizes a free-to-play model with microtransactions and it was produced by American company Bethesda. The Elder Scrolls: Blades allows you to create your own playable character and develop their abilities as you gain experience. The protagonist is a secret agent of the Empire and belongs to the elite guard known as the Blades. During the game, you fight in an arena, visit randomly generated dungeons and locations, and complete various quests. With the resources you gather, you expand a city, which also serves as your base camp. You can also visit your friends' cities. The game is a classic FPP role-playing game. You control your character only with the touchscreen interface. By tapping the screen, you choose the direction, and by swiping, you attack with weapons, cast spells, or block. Optionally, you can use virtual analog sticks. Interestingly, you can play the game on both vertical and horizontal screens. The Elder Scrolls: Blades features high-quality visuals and sounds, created for premium smartphones and tablets.